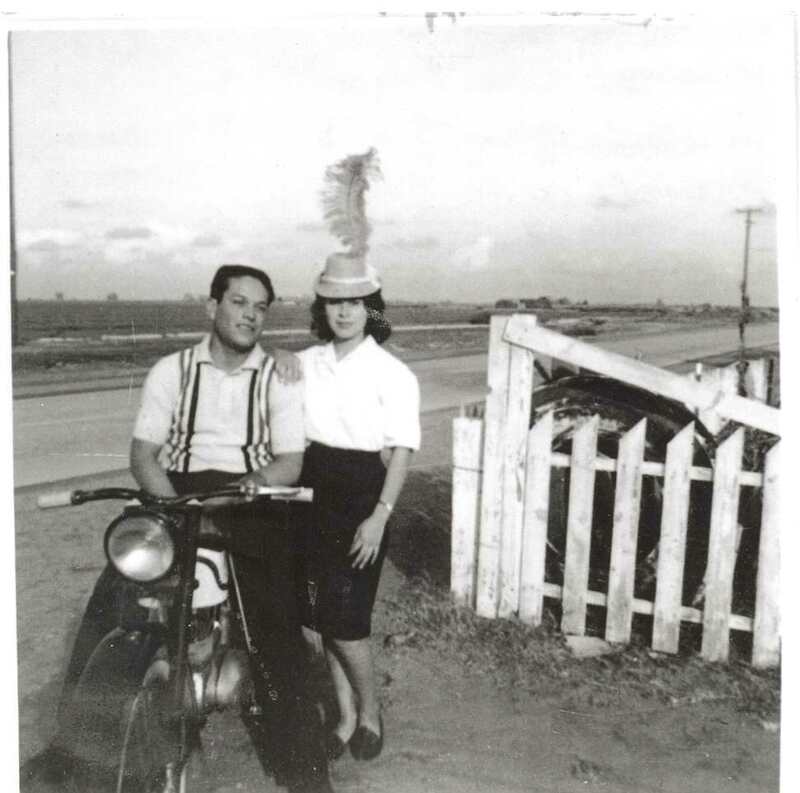 Description: Mary Mavis and boyfriend, Edward Aguilera, on Chandler Blvd. and McClintock Rd; 1960s. Collections/Archival Items/Photos/Places/Hightown (Pueblo Alto)/Hightown (Pueblo Alto) Cont.